Ola! I'm back with a new blog post. It's been a year since I graduated from College, and there's a loooot of things that happened lately which kept me really busy. But here I am now.. 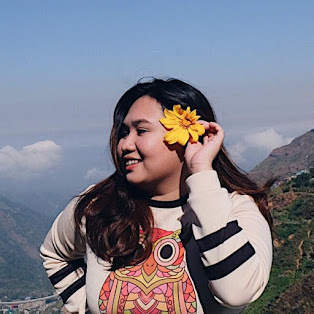 Working in a BPO company really changed my lifestyle and that is one of the reason why I didn't have the chance to update my blog for a long time. I missed being a freelancer, where I can have my own schedule and do whatever I want and what I love. But of course, we're not getting any younger and I need a stable job that can sustain my needs. They always ask me why I quit blogging. Well to be honest, I did not quit. I just needed a break because I had difficult time balancing everything and it feels like I've wasted a lot of opportunities back then and I'm glad I'm starting to feel the adrenaline back and the urge to write . I'll try to finish all the pending blog drafts that I have and just to let you know, I don't have any plans of quitting mylittle space on the web. Anyway, I haven't posted anything for a year but few months ago, Comm Students from TSU invited me to be their resource speaker on how to become an effective blogger and here are some of the photos during the seminar. I don't consider myself as an effective blogger but, It feels great when you share your knowledge to those people who are aspiring to be like you. After the Seminar, Aiko and I decided to go to J&J Korean Restaurant to eat before we go home and this is where I've tasted the best Bulgogi so far.